SELEPAS sebulan berpuasa, yakni sebulan mengawal hawa nafsu dari segala keinginan dan menjalankan amal ibadat keagamaan dengan segala doa dan perbuatan yang membawa "baraqoh", sewajarnya kita menjadi gulungan yang lebih mulia, yang lebih berjaya, yang lebih waras dan yang lebih boleh dipercayai dan dihormati. 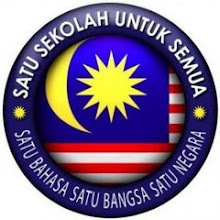 Nilai manusia Melayu-Islam selepas Ramadhan tentu sekali boleh dan akan menganjak ke hadapan kemajuan bangsa dan negara, tanpa sebarang kekurangan dan keraguan, sebagai khalifah Allah di muka bumi (negara) ini. Akan sampaikah darjat kita sebagai manusia beragama berbangsa, bertaraf khalifah kali ini. Lebih-lebih lagi ketika masyarakat dan bangsa sedang menghadapi pelbagai kemelut dan pancaroba kehidupan yang membimbang dan membingungkan. Dapatkah pemimpin Melayu dalam kerajaan dan UMNO faham sebab dan akibat perkara ini.. Discovery Channel yang tak reti "discover..."
MEREKA mahu produks kita diterbitkan menurut “perspektif dan sudut pandangan mereka”. Mereka mahu menentukan wajah bagaimana yang patut dilakarkan untuk diri, bangsa dan budaya kita. Bukan baru ini sekali Discovery tidak berupaya discover apa yang sebaiknya untuk kita, dulu pun mereka sudah buat. Filem dokumentari “Becoming A King” mengenai pertabalan Sultan Mizan sebagai Yang Di Pertuan Agong yang dibiayai oleh kerajaan Malaysia juga sama sahaja kesan negatif dan kekjengkelan kerja mereka dalam filem tersebut, seolah-oleh kita tidak ada identiti dan kebanggaan sendiri. Itu jawapan saya apabila ditanya oleh DJ Radio 24 Kam Kamaruddin semalam mengenai pendapat saya tentang angkara yang terjadi akibat dari penerbitan sebuah dokumentari pendek mengenai “tarian pendet” Indonesia oleh Discovery Channel yang mengatakan tarian tersebut sebagai tarian Malaysia sehingga menyebabkan gerakan “sweeping” iaitu kempen menikam dengan buluh runcing rakyat Malaysia di Jakarta. Saya selalu mengingatkan kawan-kawan dan pelajar saya tentang pentingnya kita memandang berat tentang “contents” atau bahan kandungan filem dan karya yang kita lahirkan, apa sahaja bentuknya; kerana dalam era komputer kini bahan-bahan siaran yang kita lahirkan dengan mudah menjadi bukti upaya pemikiran kita yang sebenarnya. Dalam hal ini kita tidak harus terlalu fascinated, terpesona atau kagum sangat dengan budaya fikir “orang luar” sehingga hendak bercerita tentang aspek kehebatan sistem beraja kita sendiripun kita mengikut sahaja apa yang mereka putuskan. A night spent with mom in the month of Ramadhan in the house where she gave her days and nights to me and my other siblings make my heart sank. What more when she keep on asking "awak siapa..."
The recent demise of my father has triggered moments of soul-searching for me. Perhaps I ruminate too much on his sudden, unanticipated loss. Being a movie buff, I can’t help but reminisce over the good old days, especially the happy memories of going to the movies with my father. In fact, I must admit that it was my father who initially ignited my ceaseless passion for movies. When I was young, my father took me to the movies regularly. We had regular excursions to the cinemas in my little hometown Sungai Petani (SP) – the Cathay, the Kapitol and the Empire. Now they have become part of history as they are all gone; one of them has been recently turned into a snooker centre! I remember going to the movies as indeed a popular outing even among families. But in our case, most of the time, my father would only take me along. Yes, when it came to movie-going, my father could be blamed for practising ‘favouritism.’ Only once in a while would he take the whole family. I still remember in order to escape from my siblings, I had to sneak out through the kitchen door whilst my father would be starting off in his car. We would meet somewhere not far from our house, and then continue our trip to the movies. Of course, in those days I wasn’t finicky about the types of movies that we watched. Any plan to watch a movie proposed by my father would be greeted with much enthusiasm. We watched a wide range of movies, running the gamut from the Chinese-language wu-xia films (those featuring gravity-defying stunts and sword-fighting) to Indonesian horrors (the most memorable – Godaan Siluman Perempuan). Best of all, my father preferred paying extra bucks for upstairs’ seats (remember those days the single-building cinema?). The upstairs were more convenient, not to mention the floor was normally equipped with cushioned seats. During those days eating popcorn in the cinema in Malaysia hadn’t been in vogue as yet. Kacang, sunflower seeds, dried cuttlefish and soft drinks were de rigueur while in the cinema hall. I insisted on having the titbits, and my father duly obliged. At times, my father and I would just drop by the movies (without planning) and catch a film if we felt like it. There were times when my father took me for the midnight show, too, where I got to ‘burn the midnight oil,’ immersing myself in that entire particular movie. Those moments were fun though. Whenever we went to the Kapitol theatre to watch a movie, my father would treat me to the best satay in town at the adjacent Lin Peng coffee shop (a sort of old kopitiam). I can’t recall my first experience of going to the movies with my father (perhaps when I was four or even earlier). As I remember, one of the earliest would be in Penang (perhaps I was five or six). But, I was too young to remember the film’s title or what it was about. The salient thing that indelibly struck me was the film’s poster on which none of the actors’ faces or figures was emblazoned. Instead, the entire poster appeared so dark (‘noirish’) featuring only the dark sky and perspectival road, with some lights glowing at the axis point of the perspectival road. My father told me that he himself had been an avid moviegoer while he was younger. He would even strenuously cycle from Kota Kuala Muda, Kedah (his home) to Butterworth, Penang, just to catch the latest P. Ramlee’s films such as Ibu Mertuaku and Pendekar Bujang Lapok shown at the Rex theatre in Butterworth. He said, during those times, whenever there were box-office hits, black market operators enjoyed a small boom as touts. When he was in secondary school, at least once a month he would spend his time over the weekend in Penang, catching the latest Hollywood flicks. The allure of going to the movies in those days seemed inexplicable. Perhaps being too enamoured by movies, I would display my tantrum if my father failed to keep his promise to take me to the movies. To the consternation of my mother, I would go ‘melodramatically berserk’ in the kitchen or at the back of our house. This certainly captured the attention of our nosy neighbours who began to pry as to what was going on. Once my father succumbed to my incessant demands, making another promise to go to the movie, a satisfied smile drastically sneaked onto my lips. On one of the days when I was about ten, my father, feeling exasperated at my request (perhaps due to his busyness), drove me to town and dropped me at the Cathay theatre. He urged that I queue up to buy the ticket and later proceed with the movie (the movie playing was Kamakalawa, a fantasy-adventure film from the Philippines which was unpalatably dubbed in Malay). He would return after two hours to pick me up. Initially, I was scared to death to watch the movie by my self. As my father continuously insisted, I finally entered the cinema hall alone. It was quite an experience! Since then, I had gone to the cinema by my self almost every weekend. I found an escape in the fantasy world of movies so that I could temporarily stave off real-world miseries (read: lots of school homework pending). My prodigious love for movies was further showcased while at home. Everyday when I read the newspaper, the very first page I turned to was the one abounded with cinema advertisements. This had engendered another cognate love – a love for movie posters into which I was truly drawn. Whilst names of those cinemas all over the nation, from the Cathay Parit Buntar to the Grand Mentakab, have been etched in my mind until now. Using the mahjong table papers and poster colours, I would make and paint my own movie posters by referring to those tiny, black-and-white posters appeared in the newspaper. I would then turn a little corner of my house into a mini cinema; this would make my siblings cringe. Headings such as: NOW SHOWING, COMING SOON, NEXT CHANGE, SATURDAY MIDNIGHT, SUNDAY MATINEE, as well as showtime: 3.00, 7.00 & 9.00pm were inscribed above those ‘disposable’ posters that hung on the wall outside our house. I also inherited the painting skills from my father who intermittently dabbled in painting. When RTM (the only TV station at that time) screened Malay movies via its Tayangan Gambar Melayu slot every Friday night, I would turn our living room into a darkened mini auditorium. My parents, siblings, and my late great grandmother would huddle before the television as patrons, while I would be acting as an usher, replete with a torchlight and phoney movie tickets. My father was quite a voracious reader. Nonetheless, he didn’t read highfalutin subjects such as postmodernism or deconstructionism. Neither did he read sophisticated literary oeuvre by, say, Albert Camus or Milan Kundera. Reader’s Digest and the local newspaper New Straits Times (NST) were his staple (Besides, my father read a bunch of self-help books, ranging from Jonathan Livingston Seagull to Born Rich). He would share whatever he had read (especially from the Reader’s Digest) with the whole family. In particular, I would be riveted by film-related articles. I remember when he shared with me a Reader’s Digest article on the film Gandhi directed by Richard Attenborough. He later made a promise to treat me to watch Gandhi once it opened in our hometown (Gandhi was indeed one of my father’s favourite films). Initially, my father harboured hopes that I would become a banker. Nonetheless, deep inside, he knew that banking would never be in accord with my spirit and philosophy. Evidently, when I was in college pursuing my diploma (in banking), my father used to send me a photocopied article from Reader’s Digest entitled “Where Great Movies Come From” attached with his beautifully-written letter in English (with his neat, cursive handwriting). The article discussed movies such as Rocky, Gandhi, Chariots of Fire and Driving Miss Daisy attaining greatness due to the great characters they featured. While I was in Florida furthering my studies (also in banking), my father would also update me with local films. I was indeed touched when he sent me, accompanied with his letter, a newspaper review of Shuhaimi Baba’s Layar Lara written by one of the NST journalists, as the film was playing at that particular time to rave reviews. My obsessive preoccupation with the cinema continued after completing my diploma. I ended up working as a trainee manager at a cinema located in one of the shopping malls in Kuala Lumpur for about six months, just before I left for Florida. I eventually realised that it wasn’t the kind of career which I desired. It wasn’t intellectually challenging. On a good note, I was glad that I managed to refrain myself from working in the banking environment that I deplored immensely. The happy memories of going to the movies with my father seem to have been replaced now with the regular screenings at our secluded campus in Puncak Perdana, Shah Alam. I would happily watch movies with my students and a handful of colleagues about three to four times a week. The rendezvous has been transferred to a near-dilapidated screening room called Pancha Delima which can accommodate about 200 people. Personally, I am grateful that my father has, to a great extent, influenced and moulded my life, my world-view, as well as my vocation to which I aspire. Astonishingly, one of his loves in the form of leisurely pursuit, among other things, that has somehow affected me, or has, at least, helped define the bond we share. I am uncertain as to whether my father realised all this prior to his demise; I hope he did. To all friends and acquaintances, SELAMAT HARI RAYA – MAAF, ZAHIR & BATIN.